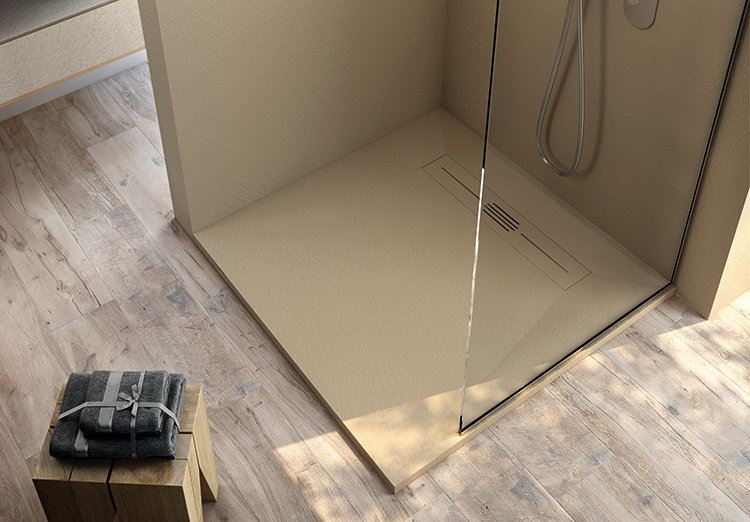 For a second year in a row, Fiora’s Linea shower base received an Honorable Mention in the Architect’s Newspaper Best of Products Awards for the Bath category. The Spanish manufacturer is renowned for its designs and production of matching solid surface shower bases, sinks and vanities. The textured shower bases, designed for high-end aesthetic and everyday comfort and safety are offered in eight earth-tone colors – total white, cappucino, cement, black, off-white, cream, grey and wenge. can be cut on-site to fit within an odd size setting or to work around an existing structural element. Fiora shower bases offer reduced installation time and cost compared to tiled shower floors and limit chances of future water leaks. Its proprietary Nanobath® technology prevents bacteria from reproducing (offering bacteriostatic properties), while repelling surface stains. The surface is finished with Fiora’s Metalface® technology which guarantees additional protection against damages and wear. The product is cUPC approved.